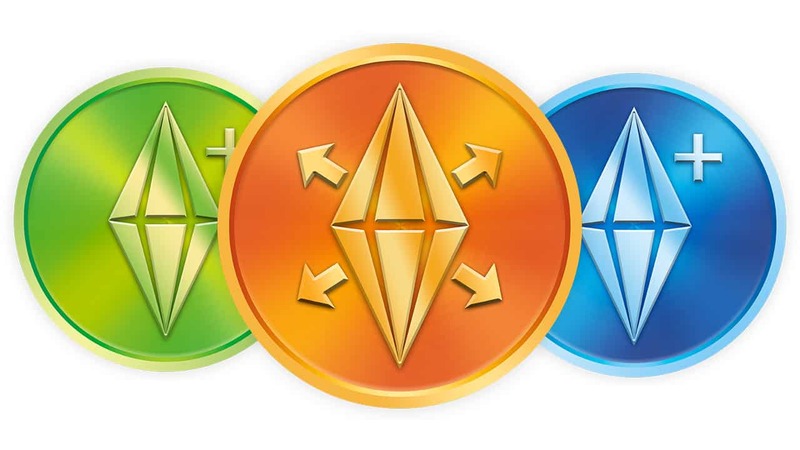 It’s no longer a secret that The Sims Team is cooking things up, especially with their latest announcement that they’ll be pushing out a new Expansion Pack, a new Game Pack and a Stuff Pack for The Sims 4 in the next six months. However, The Sims Blog that they’ve released didn’t tell anything else regarding the release dates nor the pack themes that we should be expecting. Sure, it would be fun to know exactly what we should be expecting but any transparency about the game and its production is valuable. Warning: a lot of guesses down below include the word University. You have been warned. Not because these are all my fav, but University is highly requested by the gamers, we kinda lack supernaturals and witches are more popular, and idk if hobbies can be related to the freelancer careers. EP – Uni. It’s the biggest want that hasn’t been done yet. GP – I’m betting on another supernatural GP, along similar lines to vampires but with witches. SP – I think it may be one of the rejected themes from when we did the laundry day voting. A Casino themed Game Pack could be fun with a Vegas inspired world introduced and the ability to make hotel and casinos. Stuff Pack focused around eldes. Expansion Pack university, farming OR tropical paradise. Actually forget about it – almost everyone wants University. However other ideas for the upcoming Game Pack and Stuff Pack were pretty creative. You can check out the full list of replies HERE! Why would they release Showtime as an EP right after Get Famous? The Teacher one could be like the Doctor,Detective,Sciencentest or the Acting Career.And I would love Cars. I hope for the new expansion pack it can be University. Game pack I’m not into supernatural stuff really. GP: Toss up between Romance and Back To School. The Romance pack has on the table for a long, long, long time (5 years?) and we haven’t really had romance/dating content beyond what little there was in Get Together. The other option would be another long proposed pack, Back To School, however it might be too much education content (even if it’s been highly requested). But if they don’t do it now I don’t know if they’ll invest resources into it in the future. SP: I don’t think they’ll leave the concept of using SPs to expand EP content off the table, so I fully believe they’ll use it to augment the University life stuff, especially because – much like Pets – it’s one of the most requested packs. Love is in the air in The Sims 4! Find your Sim’s soulmate with the new dating app SimMatch, then head to one of the new romantic getaway spots for the perfect date. Build your romantic reputation as a loyal companion or the town heartbreaker, and enjoy the ultimate wedding celebration, complete with bachelor & bachelorette parties and exclusive food and decor. SimMatch Dating App: Help your Sims find their soulmate or a fun fling for the night with the new SimMatch app. Pick out the perfect selfie, fill out their profile, and decide how honest your Sims want to be. Romantic Getaway Locations: Take your Sims out for the perfect date at one of the new romantic getaway locations including a cozy bed and breakfast or the swanky eco-lounge. Romantic Reputation: Build up your romantic reputation as you go out on dates with different Sims. Will you be known as a loyal companion or the town hearkbreaker? Your reputation will determine how Sims in the world react to you and earn you unique romance rewards. Ultimate Wedding: Live out your Sims’ wedding fantasies and have the ultimate bachelor or bachelorette party, select and customize the perfect wedding party, and spruce things up with exclusive wedding food and decor. The romance pack could easily turn into a honeymoon kind of pack where you can take your Sims to a luxurious island resort, come to think of it. Would be amazing if they could merge these two in a single game pack. School is in session and it’s time for your Sims to hit the books in The Sims 4 On Campus. Take your teenage Sims to boarding school to advance their skills, find more about themselves, and even impress their crush. Move on to university to learn new career skills, join cliques, and even experience the craziness of dorm living. •	Attend Boarding School – Teenage Sims who are dedicated to their books can attend advanced classes where they’ll learn new subjects and weigh the pros and cons of being a teacher’s pet. •	Find Your Place – Sims can discover who they really are and who they want to be. Pass notes to a crush in school, start a clique, stand up to no good bullies. Join a society, secret or academic, and see what adventures that opens! •	College Life – Enjoy a game of Throwey Disk or Kicky Bag on the campus quad. Lead a campus protest. Sneak into the back of the library to smooch with your significant other. •	Live in the dorms – Live with your peers outside the watchful eye of your parents. Meet new friends, discover romance, and host a party without getting caught. Prank your friends, face off with rival societies, and live away from your parents! Also, can I take a moment to point out that Seasons could totally have been called “Get Outside”? What a waste of an opportunity, Maxis. I hope we’ll get witches, farming and a tropical island one way or another. The stuff pack could be anything but I hope it’s the much requested tiny home stuff! I hope the packs coming will have a pool table. I need it in my game for my restaurant/Bar. Ep: looks to be university. Allowing to have degrees and being able to play school time. Gp: I guess Super Heroes and Villians will be the best. More selfemployment businesses like hotels are fun too. I guess for SP: Pre-Teens!!! !